Created a New Video for Combat Patrol(TM): WWII | H.A.W.K.S. 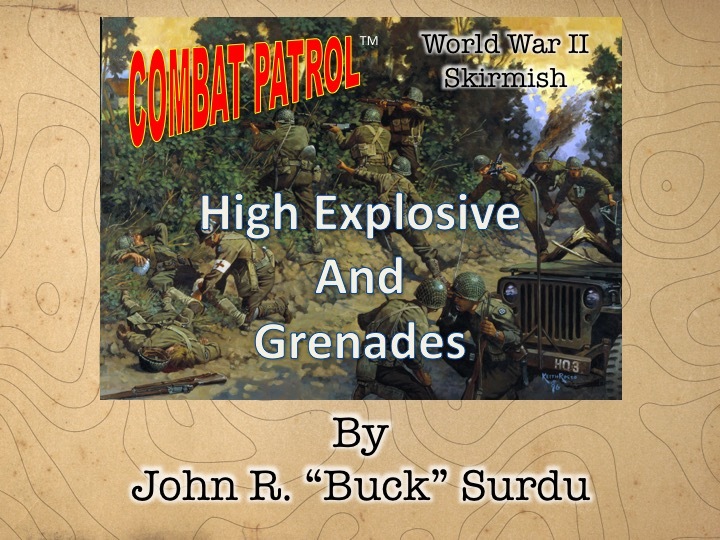 I completed a new demonstration video for Combat Patrol™ over the weekend. This one focuses on how to resolve grenades and high explosive attacks. It is visible on both the Combat Patrol™ Web page and on the Combat Patrol™ Facebook page. I hope you find this page useful and interesting.